Thanks to the generosity of Carolinas Credit Union Foundation supporters at the League's 2018 Annual Meeting, $8,250 was raised for Victory Junction's Reach Program. The Reach Program is in every corner of North and South Carolina and provides children with camp fun at their hospital bedside or in the hospital playroom. Reach is also provided in every Ronald McDonald House in the Carolinas to offer families a comforting distraction. Since the Foundation’s exclusive sponsorship of Reach began in 2015, more than 20,000 children and families have experienced the uplifting program. Whaley added that the fundraising success was owed to the participants, but most importantly, to the credit unions and business partners who donated auction items and wine. 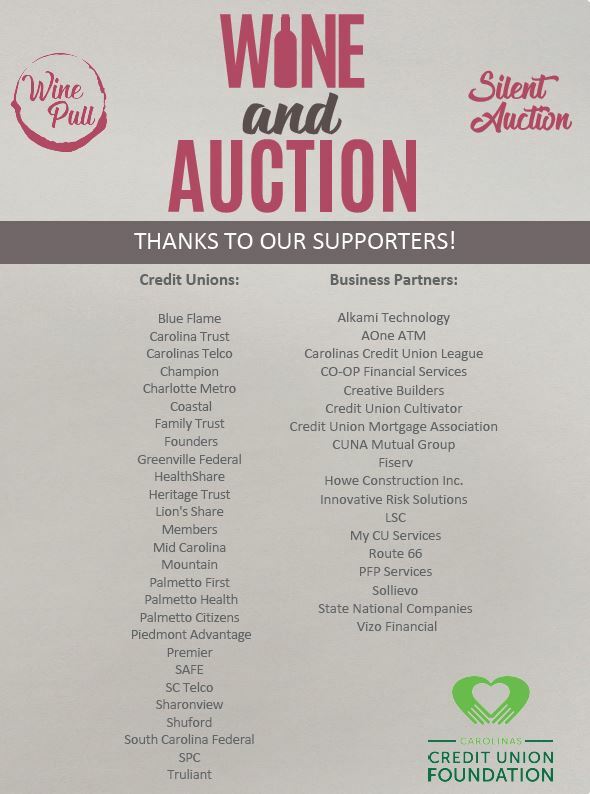 The Foundation’s next fundraising event for the Reach Program will be the 14th Annual Carolinas Cup hosted by CUNA Mutual Group on October 14-16, and auction donation collection is already underway. Credit unions interested in supporting or participating in the event should contact Lauren Whaley (lwhaley@carolinasfoundation.org) or Tracy Moll with CUNA Mutual Group (tracy.moll@cunamutual.com).